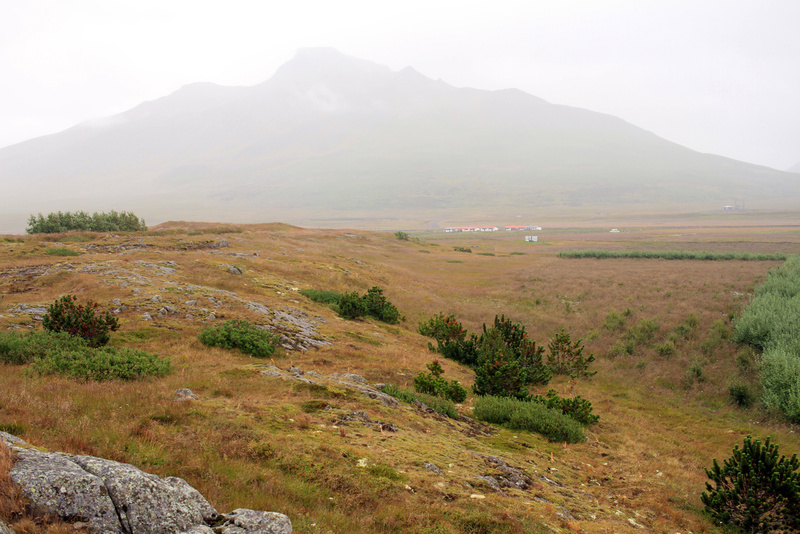 Spákonufell is moody today, and shrouded in mist. 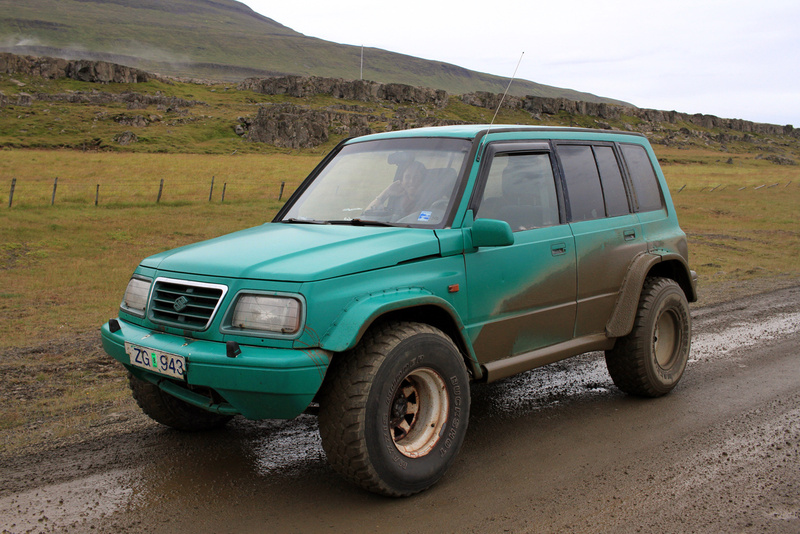 Today, Kerryn and I took Death Trap for a muddy joyride around Vatnsnes peninsula. 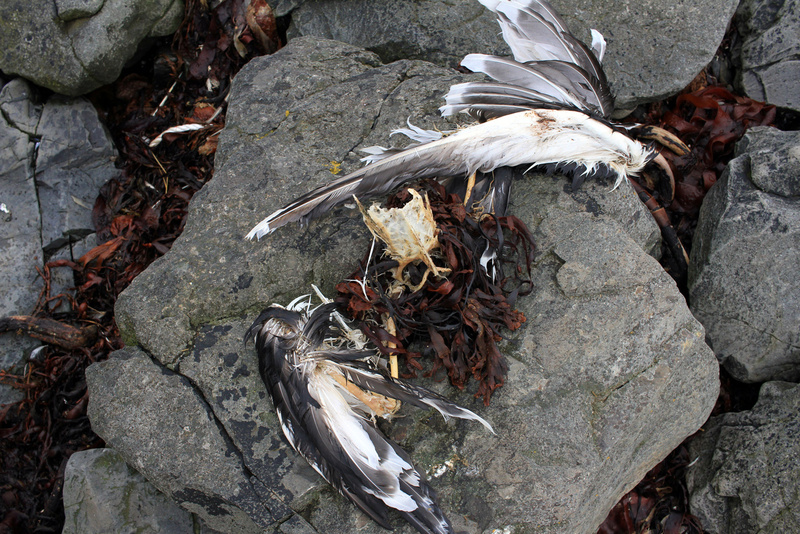 While looking for seals, we found some interesting remains of a seagull. 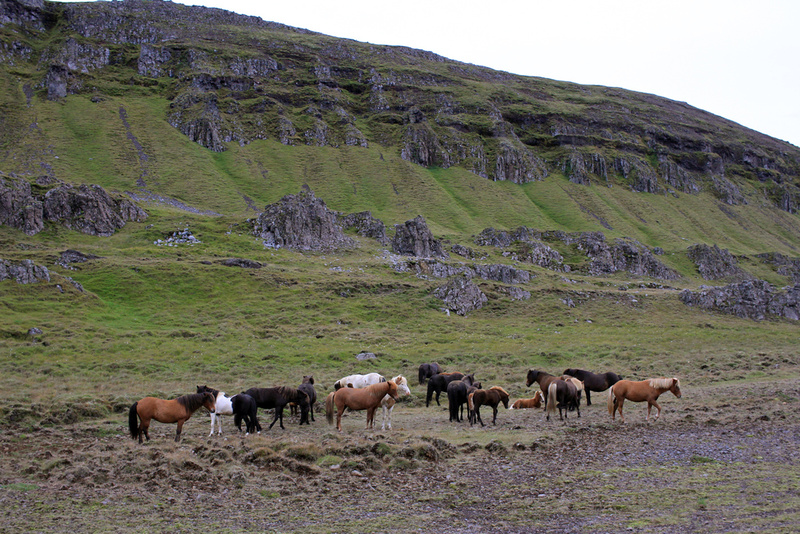 There is never any shortage of wild horses, no matter where you are in Iceland. 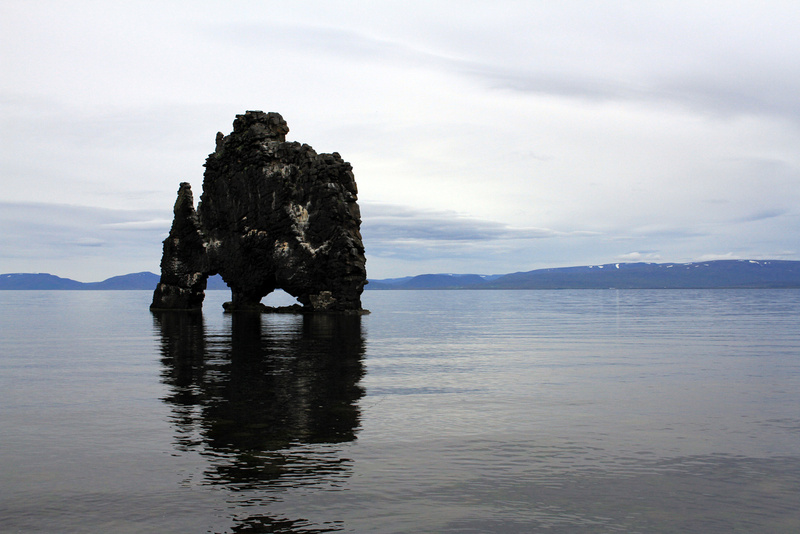 Hvítserkur (“White Shirt”) is one of the most photographed locations in Iceland – though we saw it at high tide, you can walk out to it at low tide. 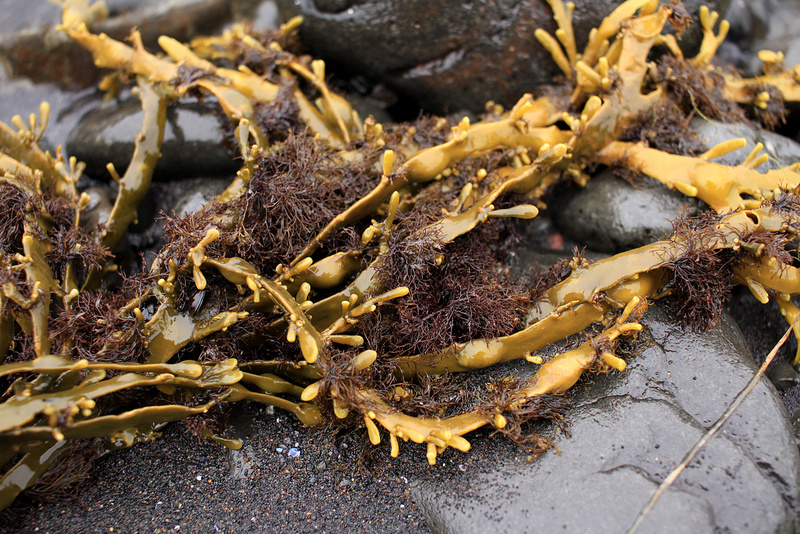 I never get sick of examining the organic strangeness that is seaweed. 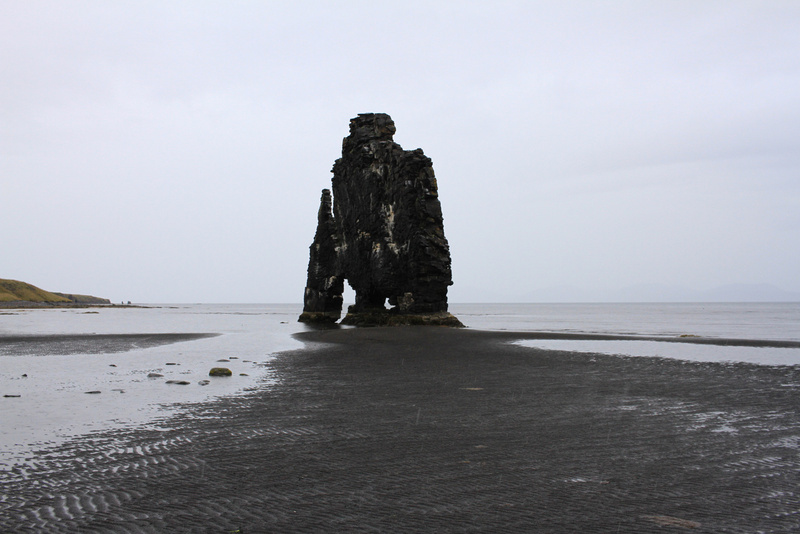 Hvítserkur at low tide - you can walk out to it along the volcanic sand beach. 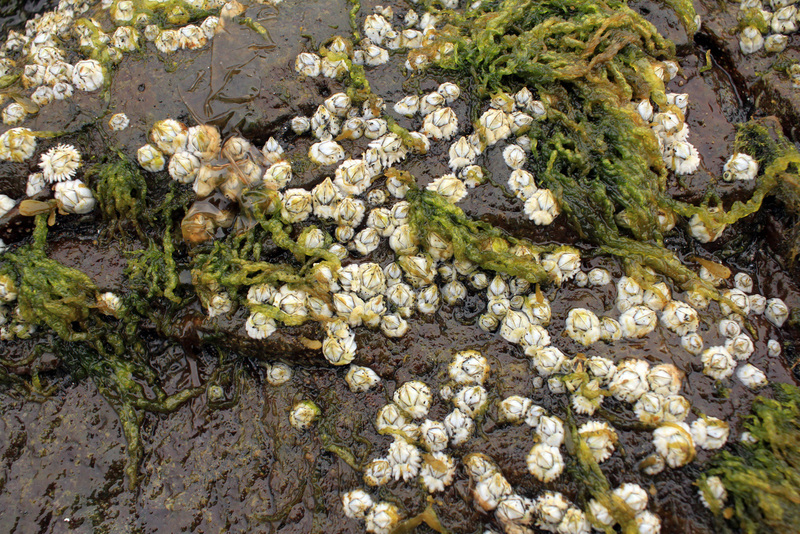 I’m fascinated by invertabrates, and Iceland has no shortage of them. 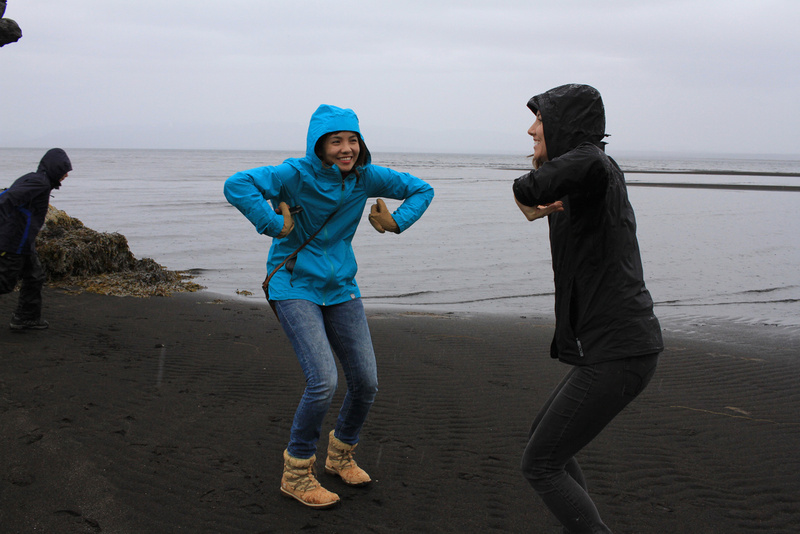 Suilma and Lea share a moment of interpretive dance next to Hvítserkur. 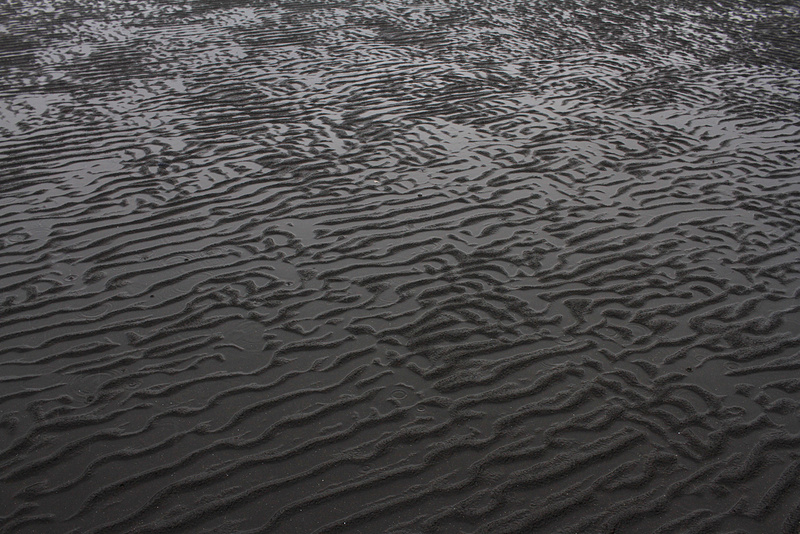 The pattern the sea forms in the sand revealed at low tide is nothing short of mesmerizing. 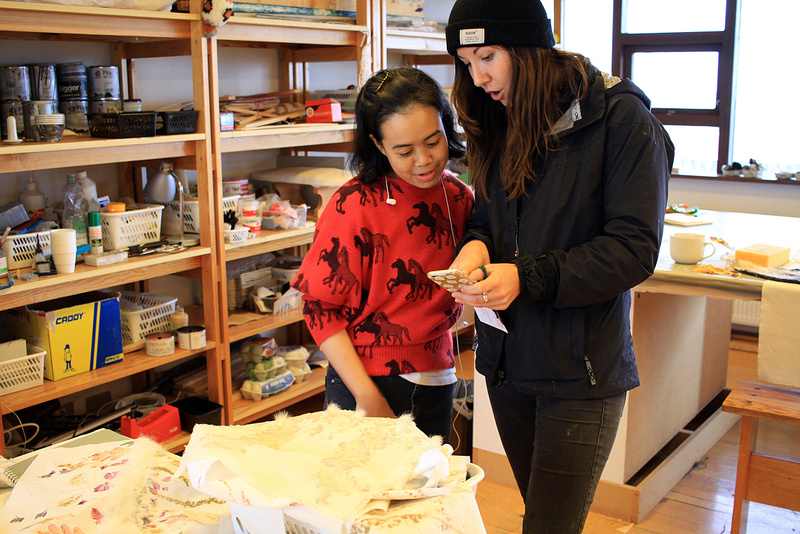 It’s pretty great to see artists from all walks of life bonding over creation. 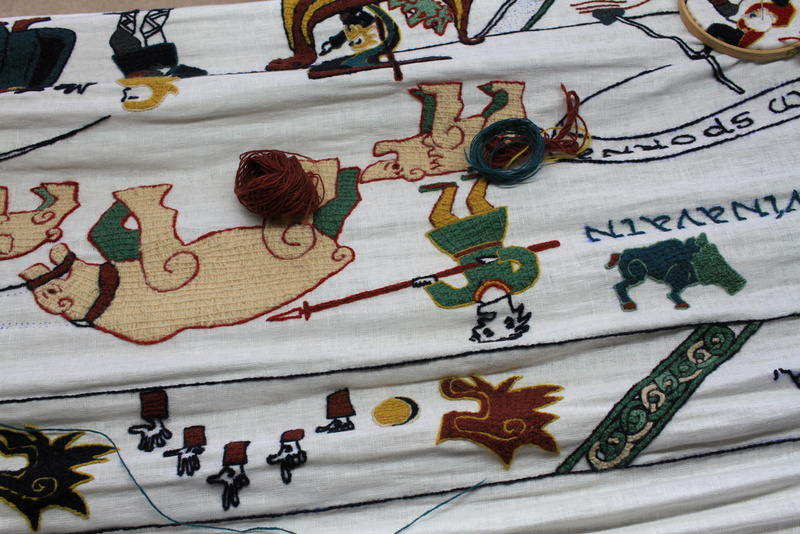 The amount of work that goes into this piece is mind-numbing (and finger-numbing after long enough). 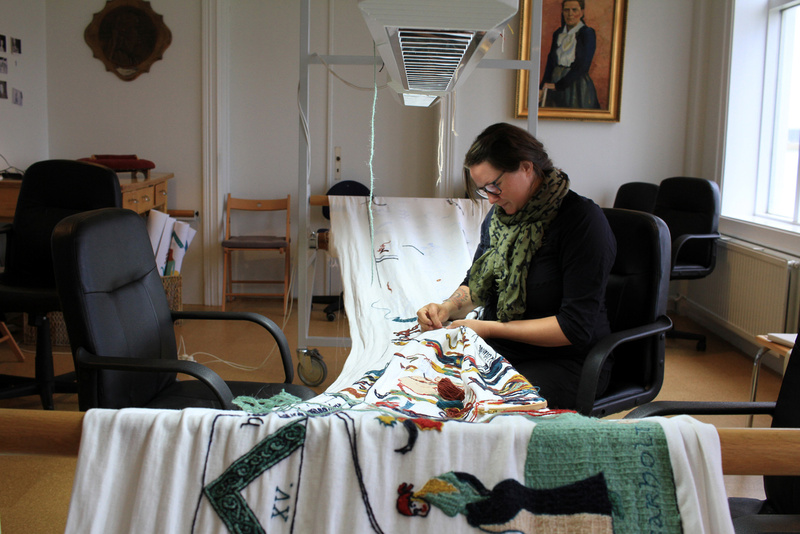 In one room, there is a years-long project taking place, a collaborative embroidery project which over 50 people have worked on thus far, a scroll depicting one of the Icelandic sagas. 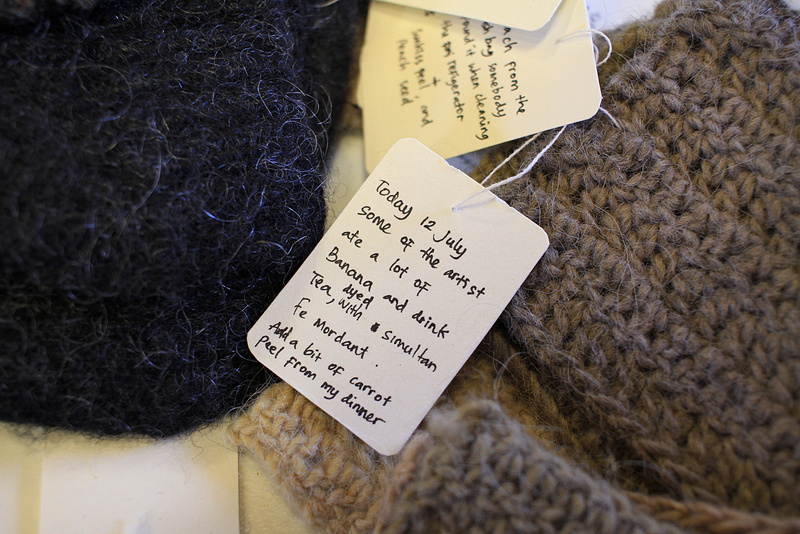 One artist is dying wool samples using only the food she eats during a day, carefully labeling each sample (there are dozens). 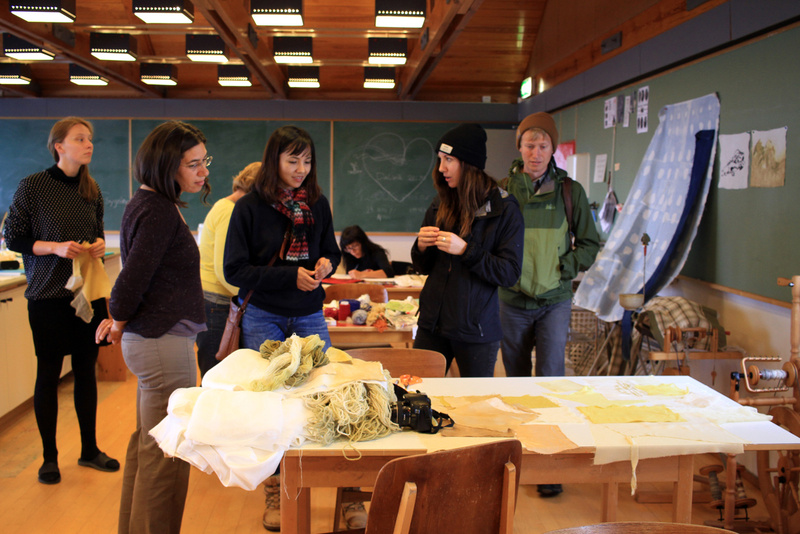 We stopped in to the textile residency in Blonduós to see what their artists are working on. 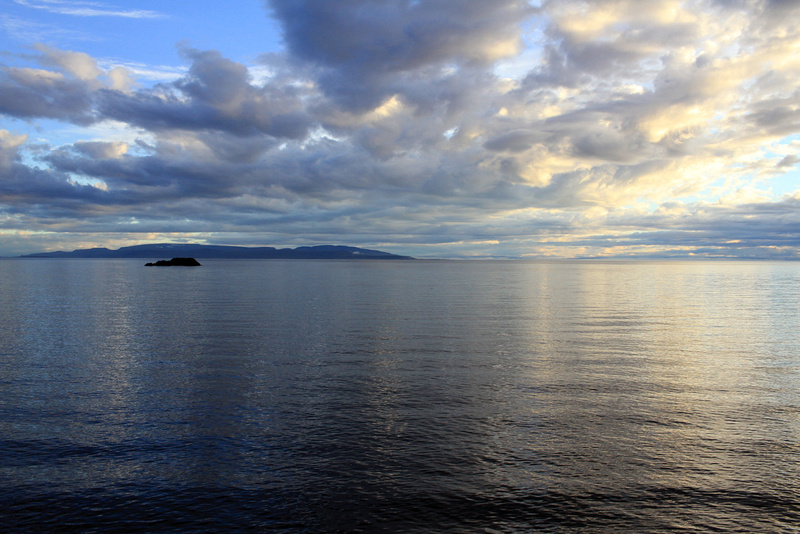 Iceland is a lot like upstate NY in that the weather can change in an instant – it had been raining all day only to reveal magnificent light qualities towards the end of the day. 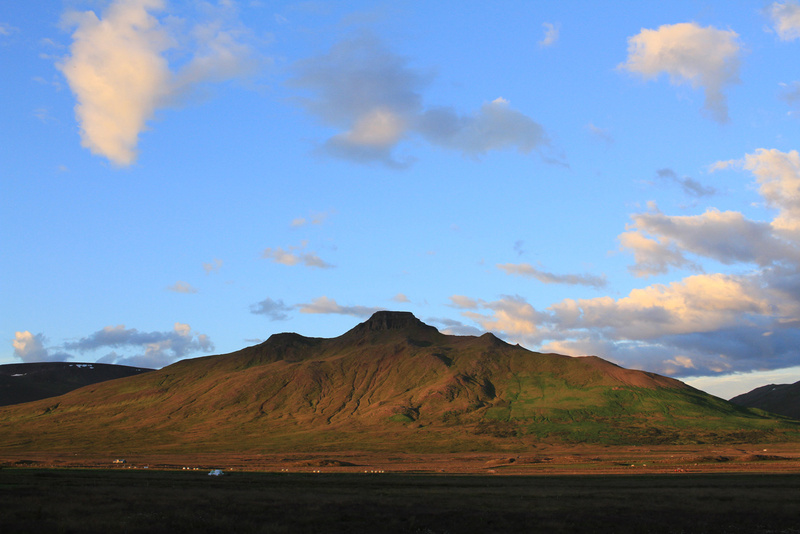 View of Spákonufell from the north end of town. 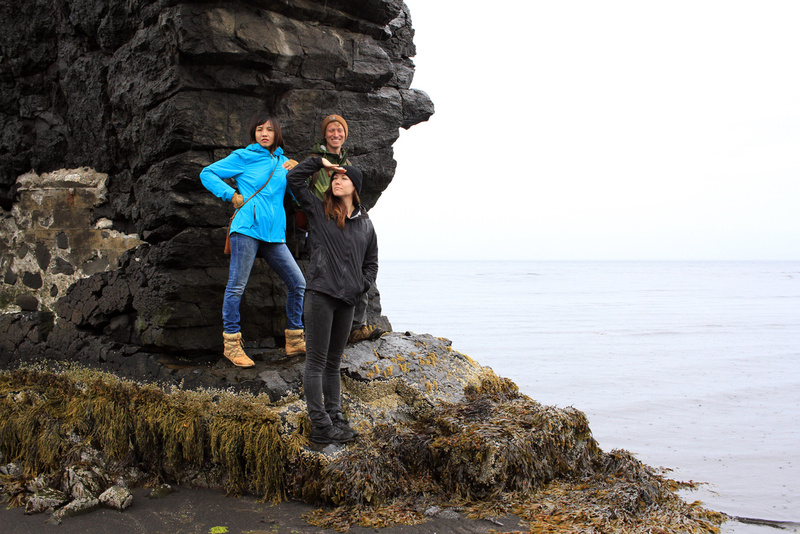 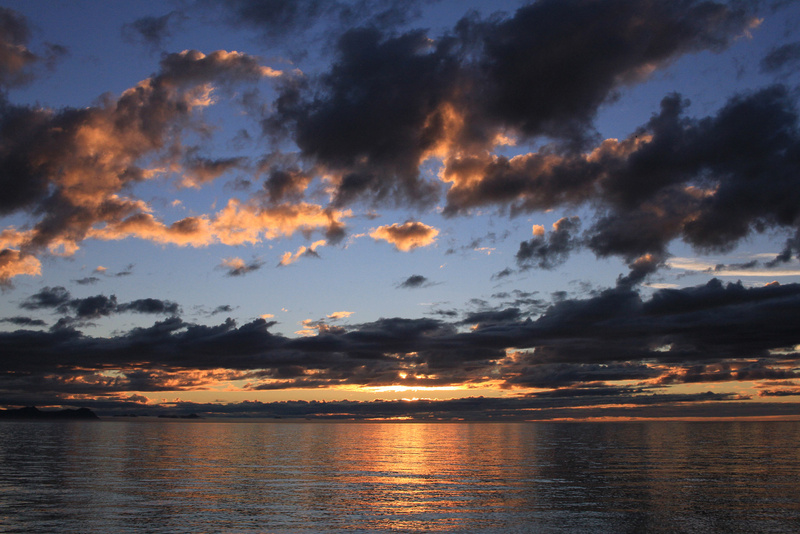 The sunset from the sea cliffs is the best view in Skagaströnd. 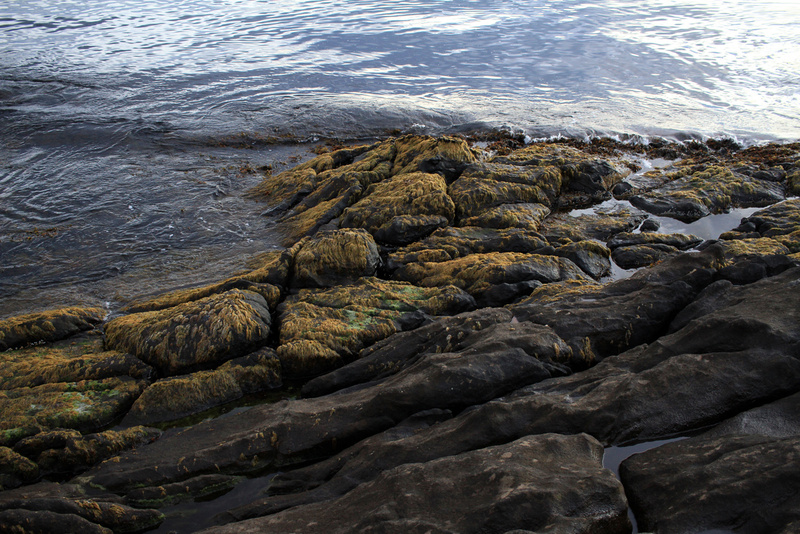 The lava flow recedes into the ocean, ushered by growing sea plants. 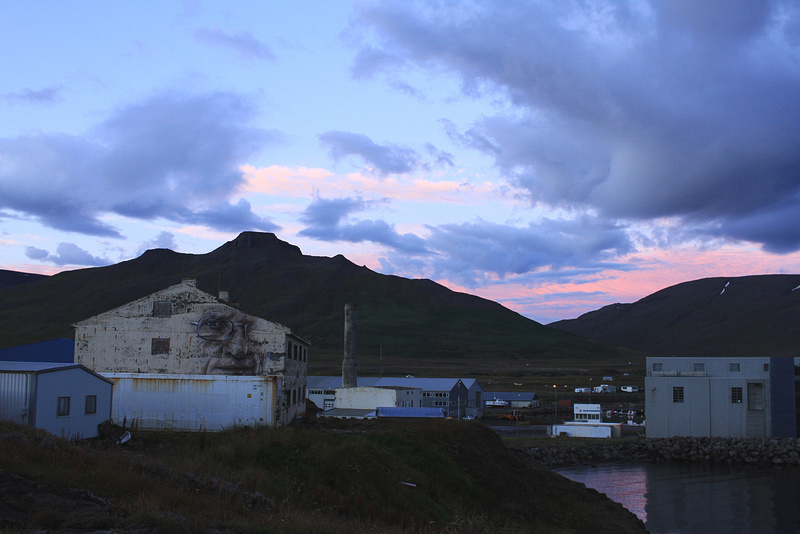 Even after the sun goes town, the light is amazing – this graffiti reminds me a little of the all-seeing eyes in The Great Gatsby.